Fab post, thanks Russell! 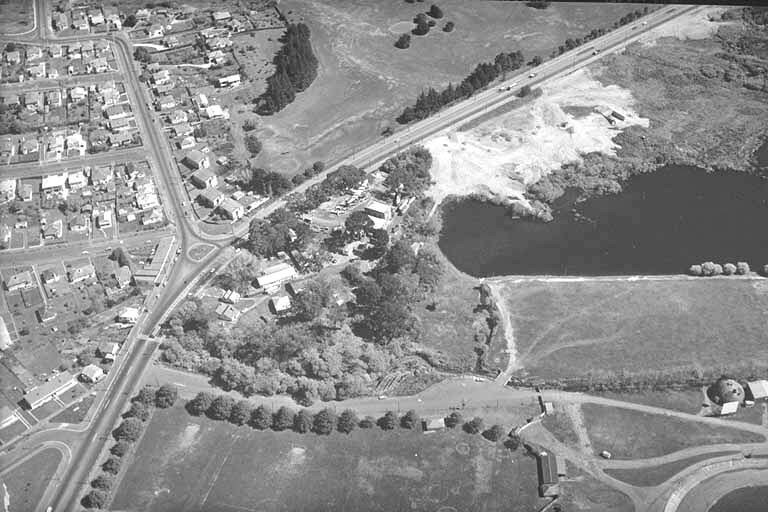 And great timing - here's Barb's look back at the nitty-gritty of getting the path included as part of the Waterview consent. An epic undertaking that has paid off handsomely. (Although we all wish new cycleways didn't all come with an enormous motorway on the side, though - Great South Road/ East-West a case in point). However, given the way the feedback is collated and analysed by AT, submissions that use phrases like "we do not support the changes proposed" will probably be counted as flat opposition to the entire project. It's hard to fathom why the soccer club and its members would choose to be on record as objecting to the continuous raised footpaths across side streets, for example – which will make a huge difference for people of all ages when they walk, jog, stroll, scoot, travel by wheelchair or mobility scooter or pushchair around the neighbourhood. I wonder if the club will follow up this mail-out with another one explaining that it's possible to support the project in principle, while also constructively registering strong feelings about some aspects of it? My favourite, because it could be my neighbourhood. More pics from this article. 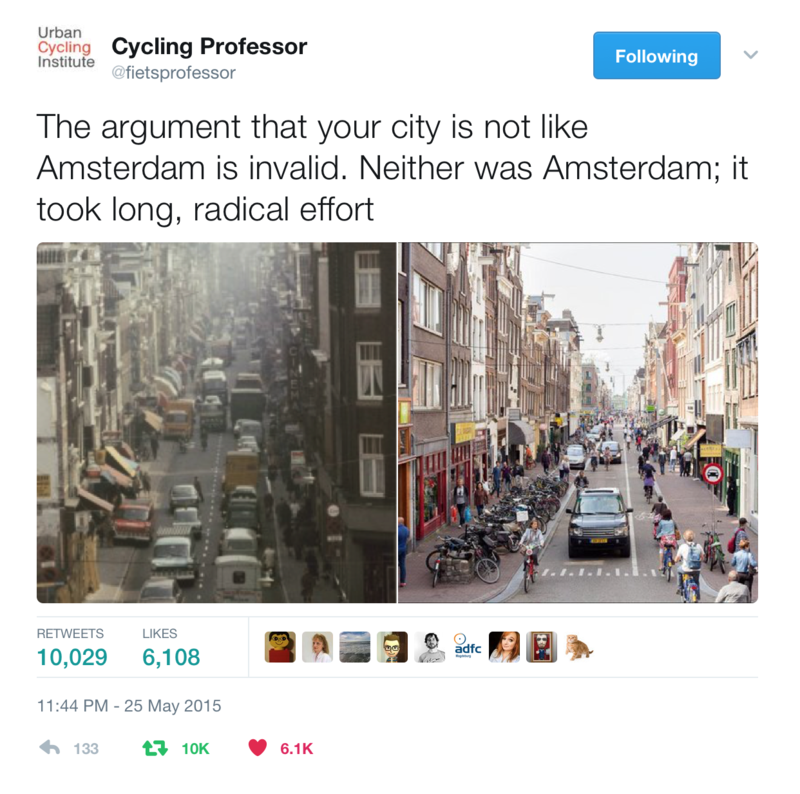 We even have a model for turning Auckland into Amsterdam: Amsterdam itself! Shared paths (bikes + pedestrians in the same zone) are an easy way for a city to address the need for safer cycling without taking any space away from cars (both driven and parked). 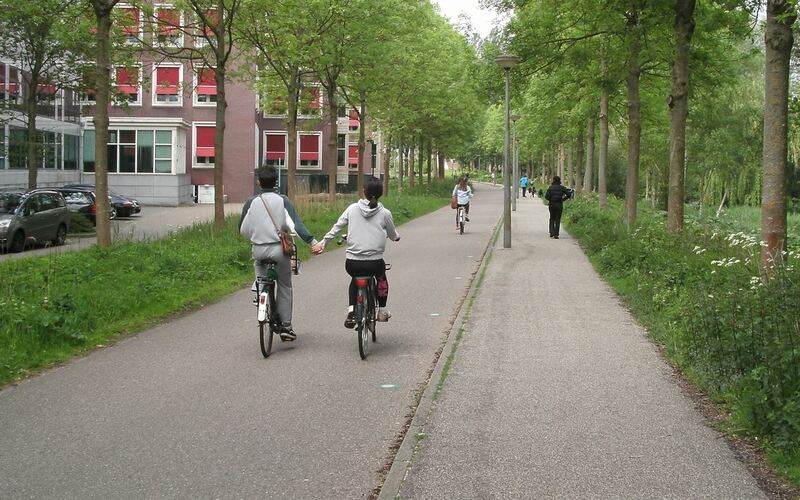 But shared paths shortchange both pedestrians and people on bikes, as so many comments above attest. 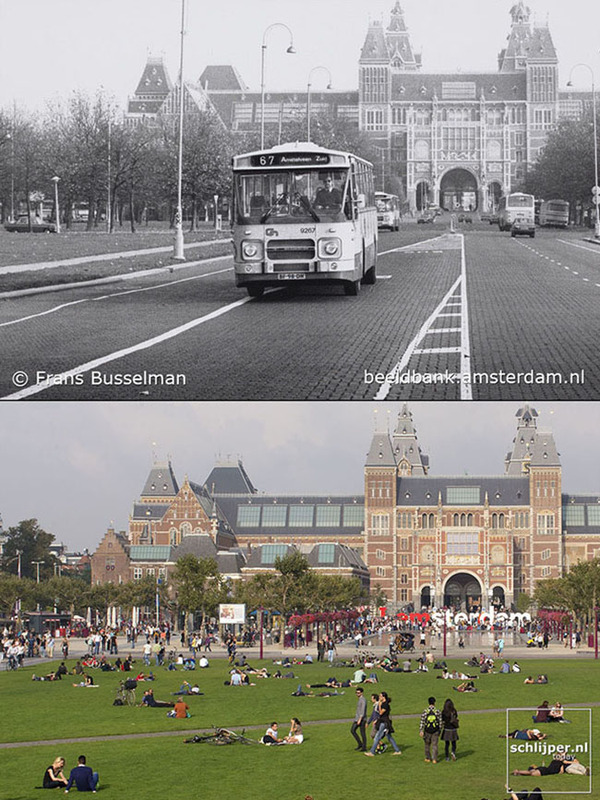 Forcing two different travel modes into the same space also pits us against each other, when in fact we have common cause in the struggle for sweet streets. Separated but adjacent paths are easy if you're prepared to make space for them. 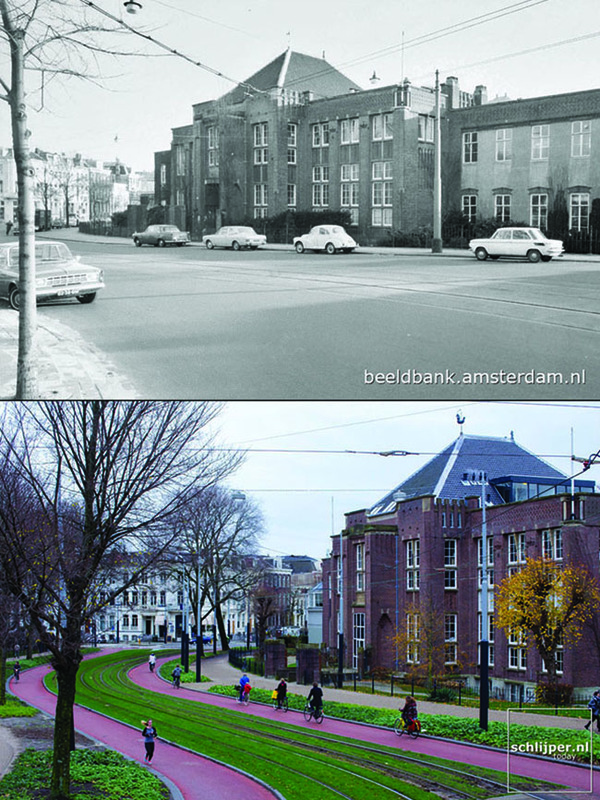 It takes real boldness for a city to aim higher and do the right thing by everyone, especially its more vulnerable citizens – children, older folk, newbies on bikes – but the results will be so worth it. Great post, Russell! I share your astonishment at the speeds people travel on local streets, even when there are kids on bikes all around… likewise, the gratitude when someone slows down or gives way or even just makes eye contact. 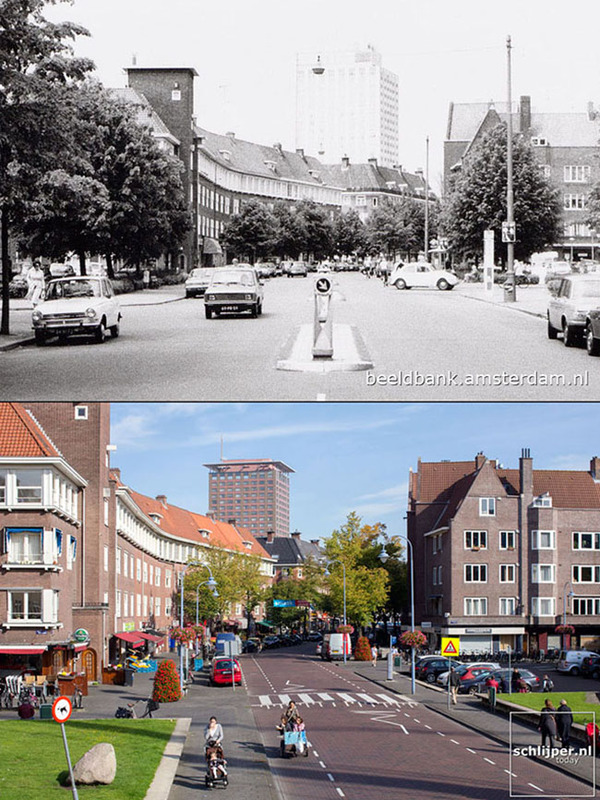 Bike-friendly streets are just friendlier in general. With my Bike Auckland hat on: if anyone’s keen on local projects to make things more bike-friendly, we’re running a free workshop this Wednesday about how to pitch bike-friendly projects to your Local Boards in a way that makes it easy for them to say yes :-) More info here. The timing is just right – Local Boards are finalizing their budgets and priorities over the next weeks and months. And it’s amazing how much money (esp transport budget) just gets left on the table if there’s no decent project to tie it to. The workshop will be run by the very wise Richard Barter, former chair of the Puketapapa Local Board and the visionary who got Roskill’s exemplary greenways up and running. Any other Aucklanders seen the new (as in, not open yet) e-bike specialist shop on the corner of South and East streets in town? Yep, that's Maurice from Glow Worm - and what a sweet spot for test-rides on the pink path. They're absolutely open to callers and customers while setting up shop. I popped in yesterday just as they were unloading a truck load of cool bikes from the Sydney branch.